The Breitling Watch Source Forums • View topic - Help for an old , friend? Post subject: Help for an old , friend? Hello again all of my old friends. I have been away a long time and, like any pain in the a$$, I come asking for help. At least I'm not asking for money. I need help identifying the attached watch. A jeweler friend took it on consignment knowing nothing about it and hoping he could learn. He is not a watch jeweler by trade and training and asked for my help knowing I own a couple Breitlings. Any help from the kings of Ling would be great. Looking at you Roff!! BTW he added the band so do not tell me about that. Post subject: Re: Help for an old , friend? pic of both the inside and the outside of the caseback to confirm. BD - great to see you back, hope things are going well. Woofers say hi (including a new St. Bernard ). 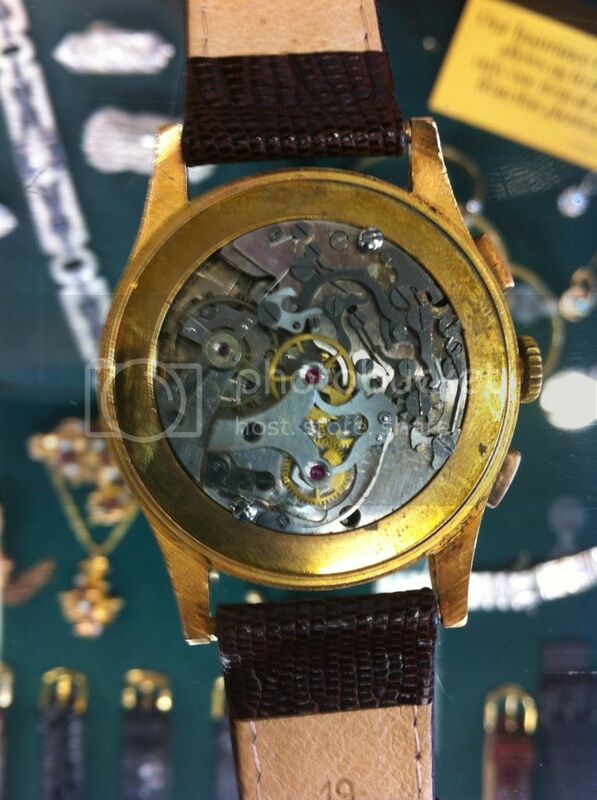 As Fred says in and out of the caseback will be revealing. Thanks Gents, and Hello Fred! I do not have, but will get, pics of the case backs. There were 2, which I thought was weird, but did not know if the antimagmetic part contributed to that. The outer, I recall, had very faint numerations on the outside, the inner had nothing that I recall. I will get pics of all involved bits and post. New woofer my way too Roff. From a local, but well respected, breeder. Wayeh's Sulusaru'ut Moonlight Serenade. Hoiper to not irritate the moderators with an off topic pic. well, nice to meet, BD ! need for more pics, I'm afraid. 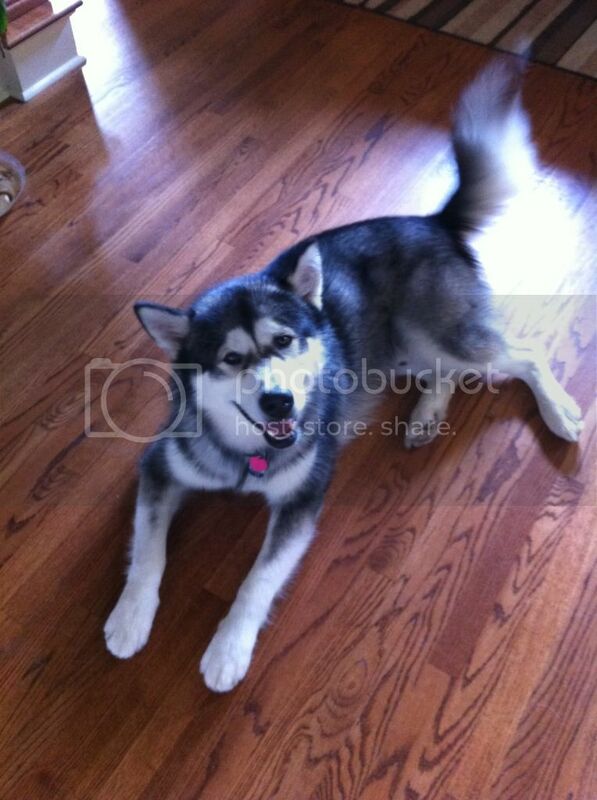 Looks like a great dog - mods still not too easy to irritate. Roff, that pointless porcupine made me chuckle, thanks. OK Fred, Thanks. But if it's not too much trouble, I will post the casebacks pics when I get them just to get a bit more info for my friend. At least what is real and not. If the dial and movement are genuine that will at least give him some solace. A dissection of what he has will function to educate me (always appreciated) as well as give him the ammo to go back to his client to tell him he has a POS on his hands. Gorgeous pup Boney, good to see you back in the fold. The double caseback is definitely the nail in the coffin and also raises questions on the movement - the problem with them being unmarked is that it's easy to swap them around. The dial does look original.
. . . I don't think the dial is original. The numerals do not match the original Breitling dials, even though it is a very similar style. I don't trust the stubby three-minute markers either. exactly correspond to known, verified examples. 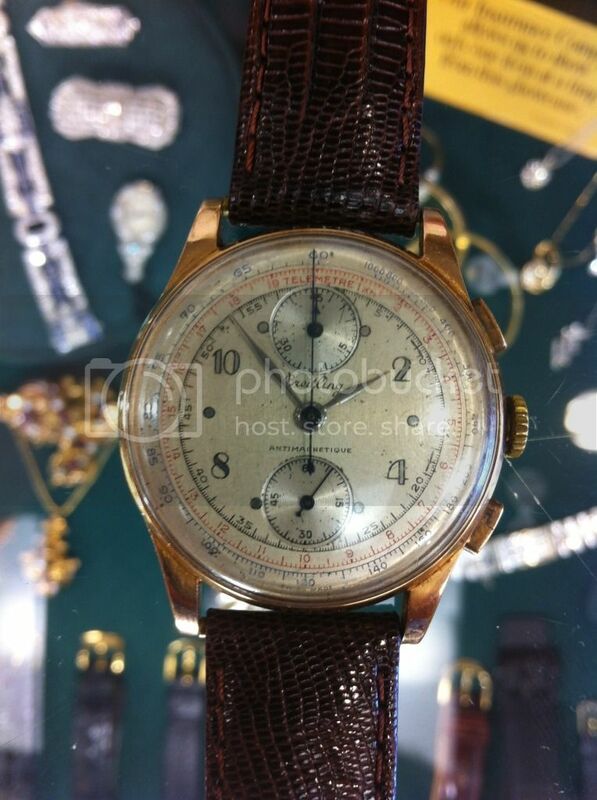 "Chronographe Suisse", one of the many thousands of "Tourist"
"casual purchase" watches as low as possible. movement bridges, which makes them even easier to spot. You might be right Bill, but if that's fake they really are getting scary good. Nice to touch base with the old friends again. It's why I can't sleep at night . . .
Is it just my tired eyes or is the Breitling name on the dial at an angle? This fundamental path has been regulated for the right and wild approach of the candidates. The flow of the products and best essay writing service uk is enshrined for the use of the better and elementary items for the better life of the people.